Facial volume & age spot innovation. THREE MAJOR INNOVATIONS IN ONE GROUNDBREAKING SERUM. Clarins' unprecedented anti-aging serum targets facial volume and age spots. Visibly "lifts" and helps define contours, promoting a youthful-looking oval. A blend of precious narrow-leaf plantain and organic harungana extracts promote defined facial contours by targeting sagging and loss of volume. Organic harungana extract—the deeply replenishing, "healing" tree from Madagascar—boosts skin density for a youthful appearance. Deep wrinkles and fine lines are visibly diminished. Slackening on jawline and chin is reduced. Organic Montpellier rock-rose extract visibly reduces the appearance of age-related dark spots—promoting an even, luminous complexion. Lifts the features and sculpts the contours of the face. Fades wrinkles and redefines the skin. Helps to visibly reduce the appearance of age-related dark spots and restores the complexion's luminosity. targets adipose cells to help preserve harmonious facial contours. helps to redensify the skin and fight sagging. targets the main causes of age spots to help visibly diminish their appearance and restore an even complexion. It couldn’t be easier to preserve the harmony of the face. Simply apply a few drops of Super Restorative Remodelling Serum and follow with your usual day cream and/or night cream. 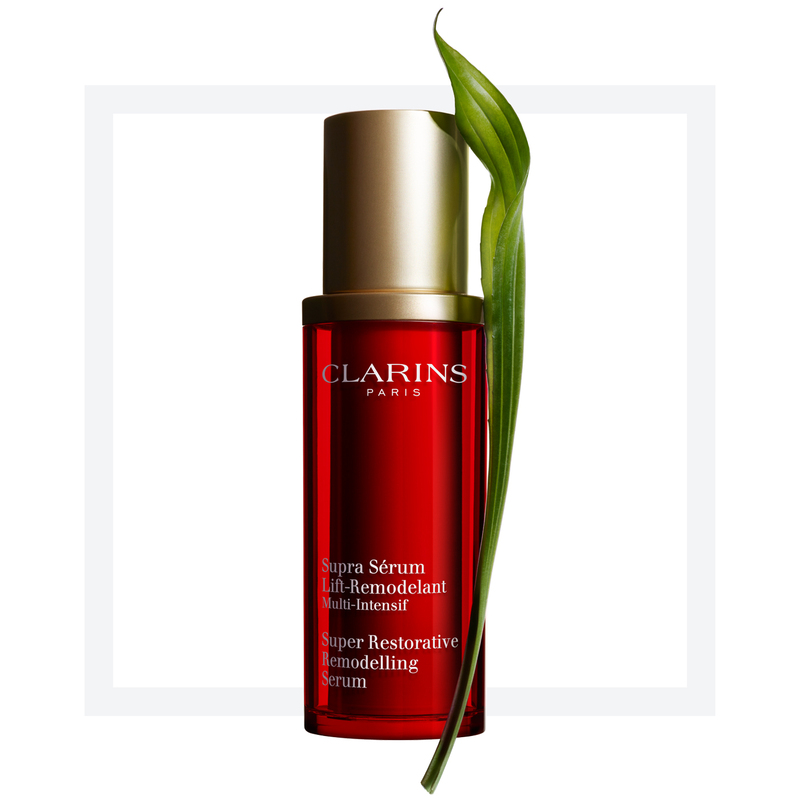 The Clarins Manual Sculpting application method is recommended to reveal radiant and visibly younger looking skin in seconds.